Successfully saved Chicken Cheddar Corn Chowder to your Calendar. You can also save the ingredients to your Grocery List. 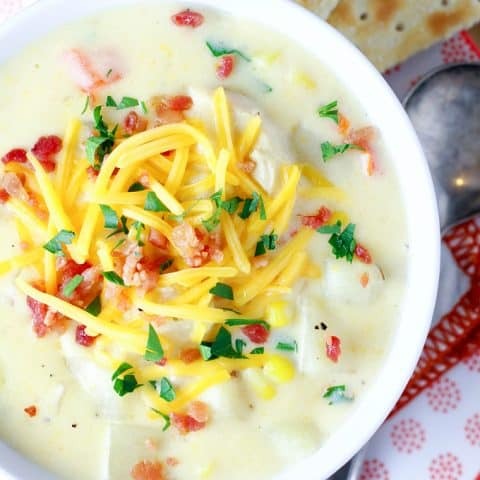 This rich, creamy soup features tender chunks of chicken, crispy bacon, plenty of potatoes and corn, and lots of cheddar cheese. True comfort food on a chilly day.